Playground, walking area and bar restaurant. 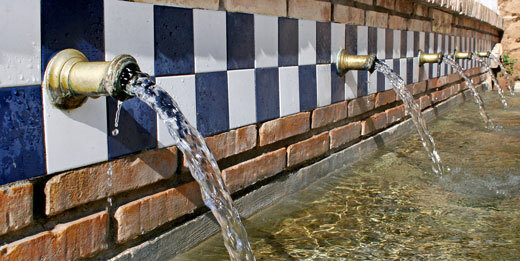 For the source of five pipes, which gives its name to the park, fresh water springs at Penyetes born and cequia crossing the entire historic center of the municipality. Moving Agullent and not visit this place is like being not really here. The books tell of local history, collecting evidence of the existence of this source since the time of the first Christian settlers. A versatile spot, with nature, houses both child’s first steps, as the rides of couples, the summer festivals, or rides from people of the town. Take the Font Jordana, are trails leading into charming corners of the term and the Serra d’Agullent. A place that encourages calm and inviting spots.